The adult moths of this species have forewings that are brown, with variable light and dark markings. 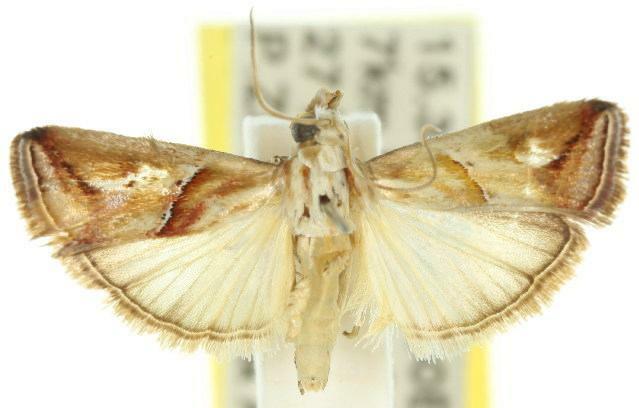 The hindwings are white with brown margins. The moths have a wingspan of about 2 cms. Volume 11, Number 3 (1997), pp. 333-421. LeapFrogOz, Kuranda, 2015, p. 188.